Will this country, or the world, ever recover? Ø Kodak Carousel slide trays. 80 slide capacity and 140 slide capacity. Contact me for price and quantity. 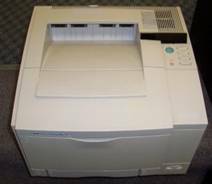 Ø HP LaserJet 2p and 3p printers. For parts only, do not work. Let me know what you need. 2 or 3 paper trays available. 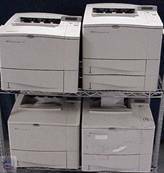 Ø HP LaserJet 4, 4+, 5 and 4000 printers (b&w) in good working order. 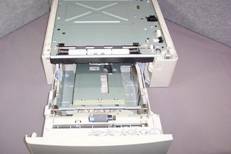 Some LJ4 and 5 printers with network cards (extra cost). $50-$100 range each. LJ 4000 available with one, 2 or three trays. Optional third tray being capable of legal size paper. Add-on Legal tray available separately. Add-on Legal tray available separately for LJ4, 5, 4000. 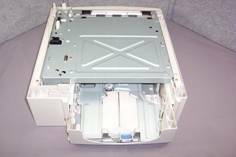 Ø Optional tray for HP LaserJet 4000, 4050, 4100 being capable of legal size paper. Easy to add-on printer bottom as 2nd or 3rd tray. Ø Gang charger with 6 3-hour drop-in chargers $150. Ø 1995 Mercury Sable LX (top end) Wagon, dark green, tan leather interior. Car off the road for 4 years now with blown head gasket. Engine partially disassembled (heads still on), parked in my driveway as a storage device and mail drop-off! Well maintained, my personal car. Great car when it ran! The gasoline tank has been removed and wiring cut, so it is good for parts only. Make me an offer! Ø Old National Lampoon magazines from the 1970’s till end of publication. Many duplicate issues and special editions. May be some issues missing, I have not inventoried them recently. Ø Pair of Acoustic Research AR-6 stereo speakers circa 1970. One blown woofer if I remember correctly. I have owned since new. Ø Acoustic Research AR receiver. I think it works! Ø Fischer 450-T stereo receiver. AM/FM wired remote search. ~50 watts RMS per channel. Circa 1970 Worked fine last time used many years ago! Ø Dynaco Stereo 400 power amplifier (400 watts per channel RMS), factory built with level meters (photo of unit without meters). Circa 1972. Works fine. This Dynaco Stereo 400 is a basic two channel power amplifier employing all silicon solid state devices. They include 46 transistors, 47 diodes, 2 silicon controlled rectifiers and 4 integrated circuits. The series-connected output circuitry is of full complementary symmetry design. The entire main amplifier is direct coupled. Its measured distortion levels approach the threshold of the most exacting laboratory test equipment, not only at the commonly specified full power ratings, but more importantly at very low power outputs as well. This is the result of circuit techniques which eliminate any discernible crossover notch at low levels, and contributes to the Stereo 400's freedom from listening fatigue. Its lucid, utterly uncolored neutrality reveals delicate nuances and musical shadings in the best program material - one result of achieving unconditional stability with varying loudspeaker loads. Implicit in the design of a superb power amplifier is the responsibility to include superior techniques of protection for both the amplifier and the speaker load, if long-term trouble free operation is to be achieved. To this end, Dynaco has included more separate protective systems and features than have ever been employed in such a product. These include an AC line circuit breaker (rather than a fuse); four separate power supply fuses; electronic volt-amp limiting to ensure safe operation of the output transistors; independent high temperature cutouts on each channel, which are mounted directly on the output transistors to assure maximum sensitivity; over 1000 square inches of radiating area for the mammoth heat sink; provision for accessory fan cooling with optimum efficiency; delayed turn-on to eliminate loudspeaker thumping; relay protection against DC signals at the output; load (speaker) protection fuses accessible on the front panel; input level controls to reduce sensitivity; input filters to control the bandwidth; and the exclusive DYNAGUARD™ adjustable dynamic power limiting circuit to protect the speaker load. The Stereo 400 was engineered to accommodate a wide range of specialized needs in studio, laboratory and industrial applications, as well as in the home. It has been designed as two independent 200 watt (at 8 ohms) amplifying channels with a common power supply having a high degree of inherent regulation. Ø Marantz model 3250 control center/pre-amplifier. Some sticky controls. Circa 1980’s ? I have owned since new. Ø Stereo subwoofer, 12”, Cerwin Vega SW12B produced from 1984 to 1992 having a list price of around $320. It’s a piece of furniture! Circa mid/late 1980’s I have owned since new and hardly used last 15 years. It has always been in my living room. Ø Levi blue denim jeans 36x32 men’s. Worn and outgrown (must have shrunk). Several pairs in condition good to worn-thru. Ø Cabinet for VHS video tapes. Holds a lot of tapes (~50?) on shelves and shelves on the 2 doors. Doors have key lock. Ø Windshield frames with windshields. Removed from cars in the late 70’s, early 80’s, stored indoors since then. Windshield Massachusetts inspection stickers indicate last inspection in mid 70’s. Ø GT6 copper radiators, damaged cores. Must be of some use for tanks, etc. Ø Spitfire and Herald sway bars. Ø Used front coil springs from Spitfires and Heralds. Rusty. Ø A-arms for front suspension. Ø Rear axle assemblies for early (short axle) Spitfires. Ø Front drum brakes for Heralds. Ø Doors for Spitfires, early thru Mk3. With glass and internals. Ø Trunklids (bootlids) for roundtail Spitfires. Also some Mk4-1500 type bootlids. Ø Some various NOS AAMCO tonneau, and hood-down covers (behind seat). Ø 1974 Spitfire overdrive unit, not on a transmission (mainshaft damaged). Ø Car and Driver magazines from the 1990’s to recent. Shipping extra. Ø 2 sets of wooden drawers originally for under bed storage. Pine Factory brand I think. Pick up. Ø Computer monitors, 14 or 15 inches, CRT, works fine. Ø Worker white jeans and light cotton pants. Men’s size 34 and 36 inch waist, 31 or 32 inch inseam. Worn and outgrown (they must have shrunk over the years). Ø Front split 40/60 bench seat for 1985 Mercury Marquis Brougham (Ford LTD 2). Cloth, power driver seat, manual passenger side. In car for only 38,000 miles of use till totaled in 1995. Stored since then. Great shape. Must be picked up here. Ø 4 hubcaps in great shape for 1985 Mercury Marquis Brougham (Ford LTD 2). For 14” steel wheels.